Because of People cannot ignore the power of social media. Bu just a click of a button, one Tweet or Instagram image can reach millions of views. Social media has virtually limitless potential but many people cannot reach these levels of unabated success. There is a lot of single digits viewed videos collecting dust on the YouTube servers for every YouTube video with about one million views. Therefore, in order to streamline success and reach, brands need to have a strategic social media strategy. Gamification is a strategic method for the boost of social media. In this post, you will learn how to use gamification in your social marketing. It is a business tool which shows a whole new direction for achieving the objectives you have set for your brand. The Gamification is a process for using game mechanics into something that already exists to engage and motivate participation and loyalty. It introduces game design elements into non-game applications to change them more fun and engaging. The Gamification uses some element like points, competition, achievement, rules of play and status to encourage actions through positive feedback. Game mechanics are the components of a game. Use set of them in the gamification to engage or motivate the user. The creation of games for business application is not the Gamification. How Brands Use Gamification to Boost Social Media? The video games have a lot to teach the business world. In order to engage users, The Gamification is the application of game mechanics into a digital experience. Tapping into people’s innate desire to play games is a great idea, therefore, it can be an extremely effective way to engage audiences. The Gamification has appeared in the past few years, but using game mechanics as a vehicle to convey ideas is a fairly old concept. Some computer games such as Munchers, and the JumpStart series are educational and they are early examples of game-based learning. 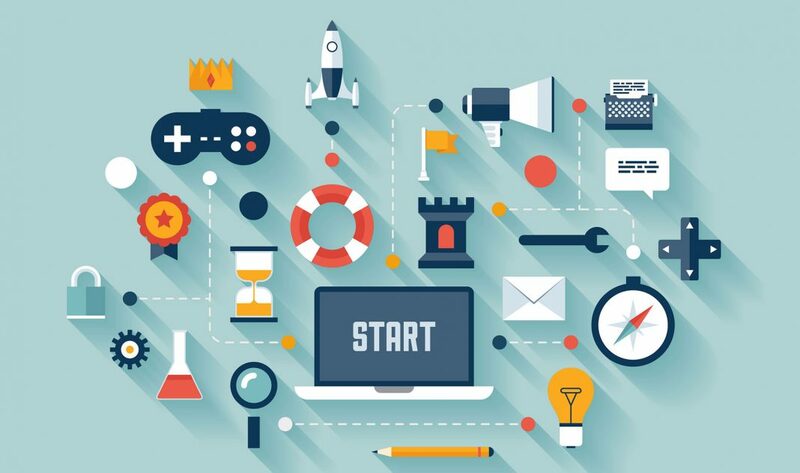 The rise of using gamification technique in marketing has been made possible in part due to the improved use of social media and interactive content by companies. Brands have created some of the most effective marketing campaigns by combining game mechanics with social media in recent memory. Usually, people use social platforms to connect with others like friends and family first, not to engage with a company’s brand. Businesses can’t ignore the necessity of having a brand presence these sites. According to given how much time people spend on social media platforms. Therefore, if companies can offer people something extraordinary and attention-grabbing, they can use social networks to spread their content and brand name. Because of that one of the most effective methods to do this is through gamification. Each user types have defining actions and characteristics, which you can see in listed below. Competition: win, beat, brag, taunt, challenge, pass, and fight. Cooperation: join, share, help, gift, greet, exchange, and trade. Exploration: view, read, search, collect, complete, and curate. Expression: choose, customize, layout, design, and dress-up. She said that these verbs can be used to describe a specific group of the audience being targeted by a brand’s social media campaign. By integrating these types of social media users into their campaign, Brands can design their games to each type of user. You can see the effectiveness of such customized applications in two companies below. This campaign is a good example of successfully using gamification into social networking. The Running application tracks pace, time, distance and calories burnt with GPS. In this app users engages socially through competition. 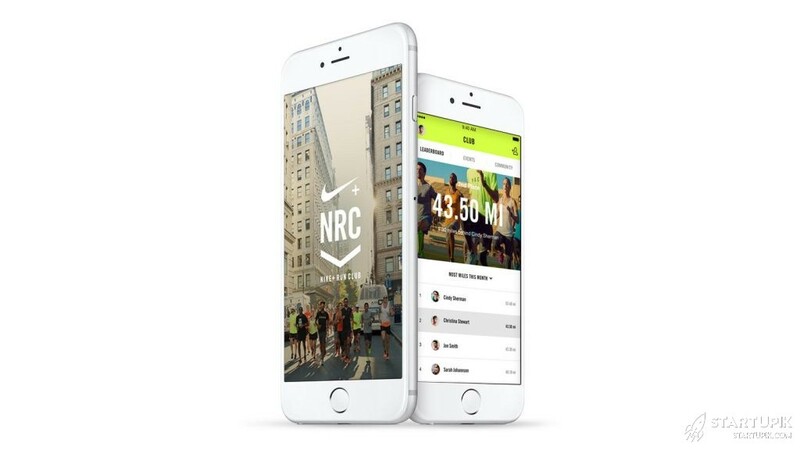 Data and logs from users in the app automatically upload to nikeplus.com. Therefore, people can see their run stats, such as elevation and distance, and compare it with others like their friends and peers. As a way to market the product to other potential customers, this app allows the audience to post their runs to Facebook, it is an aspect of the application’s game mechanics. In a competition way, there is a lot of athletic motivation in this app. This includes some messages from top athletes and real-time cheers from the Nike for every “like” or comment that a runner receives about their posted updates. As you know traditional advertising is still effective. Therefore, for more interactive user experience, it’s clear that brands are recognizing the need to move beyond two-dimensional campaigns. Gamification has proved to be a successful method to do this. Social media has developed into a channel where user-experience marketing can be implemented quickly and seen by consumers. A powerful tool for increasing sales is user-generated content. At first, you’ll have to learn, how to incentivize your buyers to share on-brand content. You’ll want to learn some basic gamification in order to get your customer posting. Successful companies have already incorporated these ways into their social marketing campaigns. These are some tips which allow you to implement a gamification layer into your user-generated content campaign design. To improve engagement and brand awareness, ranking campaign submissions and displaying results on your owned media can be a tool. You can rank submissions according to social media likes, shares, traffic, or formula of your choice If you do not have a visual marketing platform. The competitive component of your campaigns shows as Leaderboards and encourage brand fans to post creative and quality content. Followers of some brands will create content just to the joy of it, therefore if you offer strong motivation you can increase social posting. You need to know who your customer is when deciding how to reward them for their content. It will be easier to motivate them if you know your customers and what they value most. Joining yourself to a brand is a lifestyle statement. To allow your customers to find others connected with your business, create an online space that your followers can interact. It can be a hashtag or a Q&A forum. When you’ve started to improve your community, build relationships with your most engaged members and partake in the conversation. Maybe one of your audience photos been shared over a thousand times when dispersing it on your business’s owned media channels maybe it has millions of impressions. Show these social media metrics to your customer, probably they will be blown away by how many users have interacted with their photo. The influence and reach they have when they partner with your brand can be a show just by this easy way to your customers. Planning contests that challenge your audience can be particularly effective. Many people love to show off their achievements. It can be biking to the top of a mountain or a toned body. To become a brand influencer, design a progress bar. How many media of your service to your current brand influencers share a month? How many followers do they have on their channels? To achieve in order for them to reach 100% completion on their progress bar and become an official brand influencer Identify and share the metrics your customer needs. When you provide triggers, social reinforcement, and rewards to incentivize your customers, Therefore, your user-generated content campaigns will be more successful and see more engagement. You will not only increase your marketing. but build relationships with your most active customers just by extending your marketing and mix with user-generated content next gamifying your social media marketing strategy.